The Golden Globe Awards, long known as the fourth most important award show after the Oscars, Emmy’s and Grammy’s, aired live last night on NBC. Despite a ratings tank in the late night department, the network reported a very large audience for the show. Although I was unable to tune in to watch the show, many sources have reported that the show was less than thrilling. What I can more accurately report on are the results. Despite a few perfect picks such as Sandra Bullock (Best Actress in a Drama for “Blind Side”) and Meryl Streep (Best Actress in a Musical or Comedy for “Julie and Julia), many of the awards were way off. One of my biggest disappointments was “Avatar” winning in the Best Drama category. The mostly computer animated movie also won James Cameron the award for Best Director. This pick was the easy choice but not the correct one. Movies like “Up In The Air” and “Precious” were shut out in favor of the Cameron disaster that was huge at the box office. Another big miss for the Golden Globes came in the Best Actor in a Drama category. “Up In The Air” star George Clooney and “Invictus” star Morgan Freeman were beaten out by Jeff Bridges for his performance in “Crazy Heart.” Currently on my list of movies to watch before the Academy Awards, I’ll let you know my thoughts on this after I watch it. Television categories came with very few surprises. Alec Baldwin took home the Golden Globe for Best Actor in a Comedy for his work in “30 Rock” while Jon Hamm was robbed of the same award in the drama category by “Dexter” star Michael C. Hall. “Mad Men” beat out shows like “True Blood” and “Dexter” for the Best Drama in Televsion. 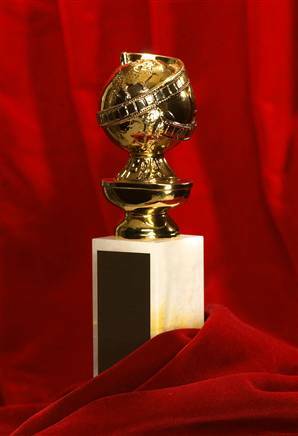 Golden Globes are generally viewed as a preview to the Academy Awards and Emmy’s. Although the show got many of the awards dead on (“Glee” and Bullock), we can only hope that the other award shows are able to get all the picks right. if ur biggest problem with the show was that Avatar won, dont bother watching the Oscars… you’ll want to kill yourself. Avatar is going to clean up. 63rd Primetime Emmys. We Pick The Winners.